Have you found yourself enjoying your air conditioner more than usual this year? 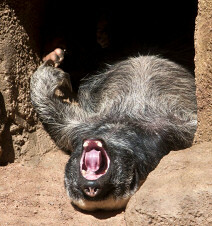 Most animals at the Fort Wayne Children&apos;s Zoo don&apos;t have access to air conditioning, but they have many strategies to cope with this summer&apos;s hot, humid weather. At the top of the list is shade. On hot days, most creatures will lounge in a shady spot, but a few, like the giraffes, seem unperturbed by the high temperatures and remain in the hot sun. Some animals enjoy taking a dip. Kemala the tiger has thrilled zoo guests with graceful leaps into her pond. Askari the hyena has been spotted swimming in the exhibit&apos;s water feature, and the swamp monkeys are never far from their stream. Sleep is the ultimate escape from the heat. Many animals will take an afternoon siesta, to awake in the evening when the mercury falls. Strangely enough, on the hottest day of the summer, Riley the honey badger was sleeping in the hot sun rather than the shade - perhaps he is just being true to his African roots! Of course, during extremely hot weather, zoo keepers are extra vigilant about providing fans, spray misters, extra water, and access to indoor quarters for the animals. 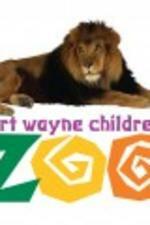 To learn more about the Fort Wayne Children&apos;s Zoo and plan your trip, visit them online.